Florida is an abode of highly religious Muslims community where Muslims brothers regularly visit mosques at prayers times and sisters gather for Quran classes. The Muslims community living here is a peacemaker and plays a positive role in the society. Tampa is famous for the fact that mosques got full in the holidays especially. The Islamic Centers in Orlando are rich in providing Islamic culture and customs to the community. Miami is another abode of Muslims of America who has big hearts to collect charities for their needy brothers and sisters. We appreciate the Muslims of Florida for their love of Islam. 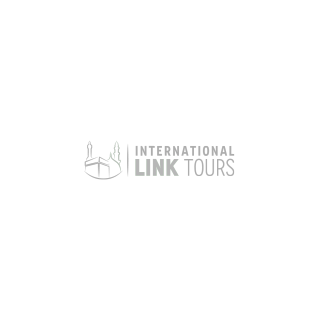 That is why International Link Tours have come up with a perfect and superb Umrah package just for you all. This package will be a boom to the Umrah services industry and is best for completing your religious rituals. Umrah is not incumbent like Hajj but is highly recommended in Islam. Every year, thousands of Muslims leave from Florida to visit the House of Allah SWT for the purpose of seeking forgiveness and getting nearer to Him. This happens especially at this time of the year when Muslims take benefit from December holidays. So perform Umrah this year under most trusted Umrah providers! We have served more than a million pilgrims during the years of our operation. We have a pristine record with the Hajj Ministry. Our customers trust us so we repay their trust in an exceptional way. Our experienced guides are always at the disposal of pilgrims to assist them in their expedition. We offer our valued customers to visit beyond Makkah, Madinah, and Jeddah and take them to all the holy places and landmarks to make their journey memorable. These places have a spiritual and ritual importance which takes us back to the times of our beloved Prophet Muhammad PBUH. The pilgrims have a chance to boost their iman and learn a lot from these bonus visits. Our exquisite services are solely based on customer's feedback and valuable suggestions.